A seemingly ideal day turns disastrous when California's notorious San Andreas fault triggers a devastating, magnitude 9 earthquake, the largest in recorded history. 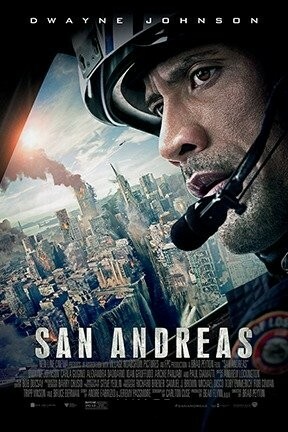 As the Earth cracks open and buildings start to crumble, Ray Gaines (Dwayne Johnson), an LAFD search-and-rescue helicopter pilot, must navigate the destruction from Los Angeles to San Francisco to bring his estranged wife (Carla Gugino) and their only daughter (Alexandra Daddario) to safety. San Andreas, San Andreas 3D and San Andreas: An IMAX 3D Experience are not showing in any theaters in the area.